Pioneers in the industry, we offer liquid reciprocating pump from India. By keeping in mind the universally accepted market standards, we are exclusively engaged in offering Liquid Reciprocating Pump. These reciprocating pumps are manufactured as per with the set norms of market & finest quality of components. 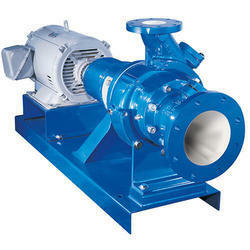 Our offered reciprocating pumps can be availed in a number of stipulations as per the variegated needs of patrons. Our quality checkers examined these reciprocating pumps on assorted parameters in order to ensure its flawlessness. Looking for Liquid Reciprocating Pumps ?